How to optimize your pinterest account to get found online, bring more visitors to your shop, and promote your business. Using Pinterest for business has been one of the smartest decisions I've made. Pinterest is a fabulous source of visitors to my website, in fact, it brings almost as many visitors as Google. 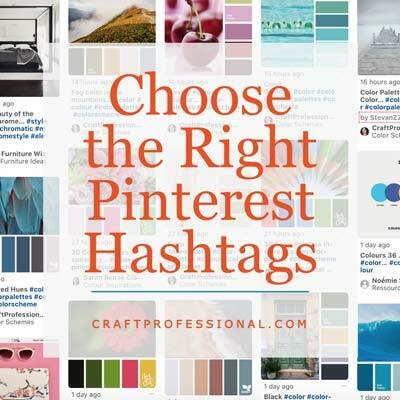 Pinterest is more "lifestyle planning tool" than social network, and, for that reason, it's a great fit for many craft businesses. 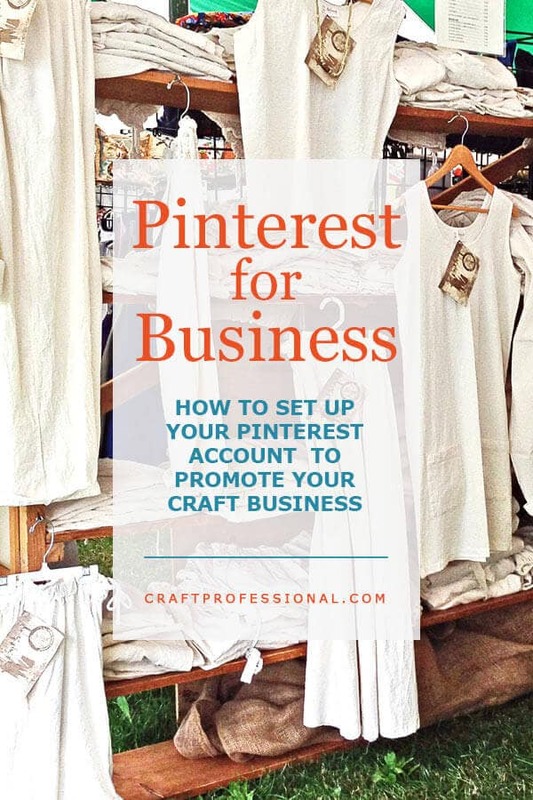 Most handmade businesses will find their customers on Pinterest, and if you have great images and a website or online shop, you're ready to get started using Pinterest for business. 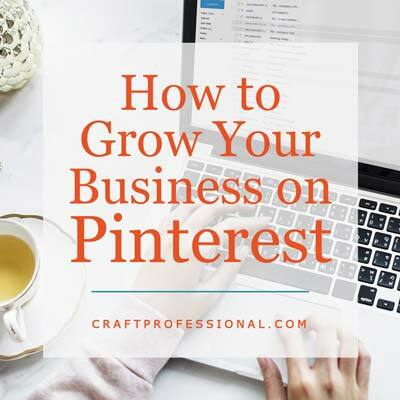 If you're trying to grow a Pinterest following for your business, versus simply using it for personal enjoyment, you'll need to be savvy about creating boards that interest your ideal customer, choosing smart items to pin, writing with keywords and using savvy strategies to get more followers. Here's how to set up your boards, create images, and use keywords to increase your chances of getting found on Pinterest, grow your followers, and get more visitors to your own site. Do you need some convincing that using Pinterest for business promotion is smart? Here's what Pinterest does for my business. The orange line shows my site's visitors from Google. The green line shows my site's visitors from Pinterest. The blue line shows my site's visitors from all sources. Notice Pinterest and Google send about the same number of visitors. Pinterest sends about 1/3 of my site's visitors, making it well-worth the time spent to promote my site there. I won't go into a detailed, step-by-step walk through of setting up your account with Pinterest. Pinterest is constantly changing and experimenting with the setup of their site, so any walkthrough I created would very likely become out of date quickly. Setting up a new Pinterest account is pretty straightforward, and Pinterest provides excellent help which will always be up to date. Although you can set up a Pinterest account pretty easily, there are a few things you should keep in mind if you're going to use Pinterest for business marketing. When you start the sign up process, you'll be given a choice of using Pinterest for personal use or for business. Choose a business account. I have a business account. The business account provides you with access to all kinds of tools you don't get with a personal account, and I've never come across any real downside to having a business account vs. a personal account. If you're setting up a new account to use Pinterest for business promotion, choose the business account option. If you already have a personal account, you can convert it to a business account. Just follow the instructions at the link above. 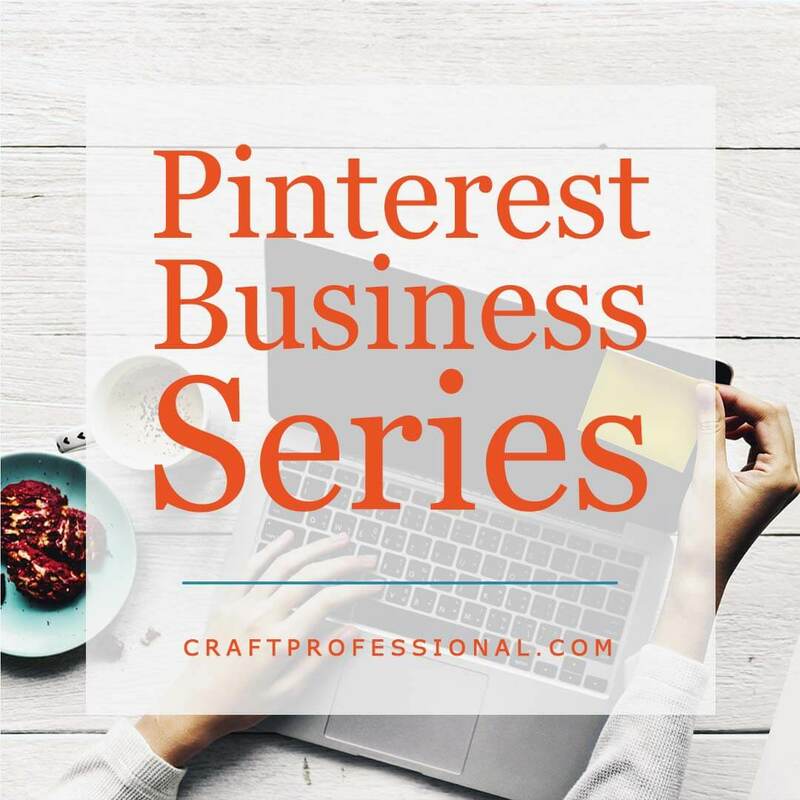 Claim your business name when you set up your Pinterest account, so no one else can take it from you, and so you can add some consistency to your branding. 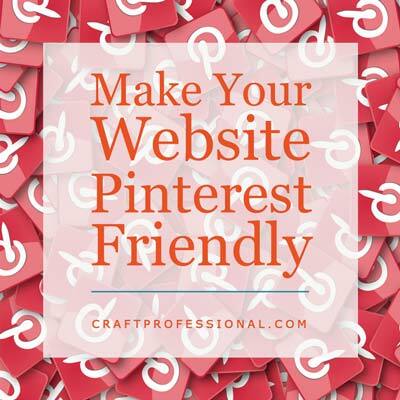 If possible, your Pinterest username should be your business name, which will make your Pinterest URL pinterest.com/yourbusinessname. 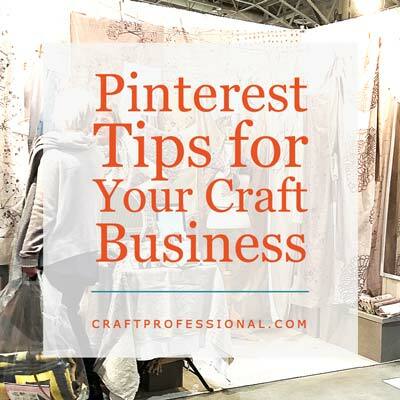 My own Pinterest username is not my business name, so my URL doesn't end in my business name, it is pinterest.com/craftbusiness. When I started on Pinterest, my website had a long, ridiculous, embarrassing (what the heck was I thinking) URL. 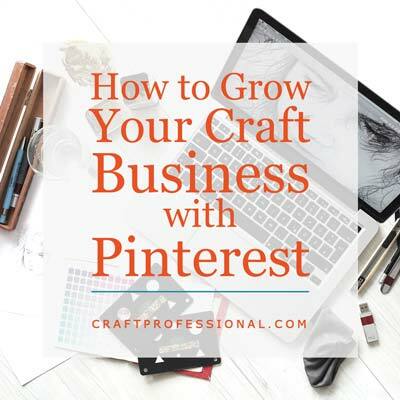 Instead of using my site's name, I used the phrase, "craft business" since it clearly communicated what my Pinterest boards were all about. I've since changed my site's address (huge job - learn from my mistakes, and get your business name right the first time!). Because of that change, I missed a chance to brand my Pinterest account. By the time I changed the name, my Pinterest account was well established and bringing lots of visitors to my site, so I just didn't want to mess with it. 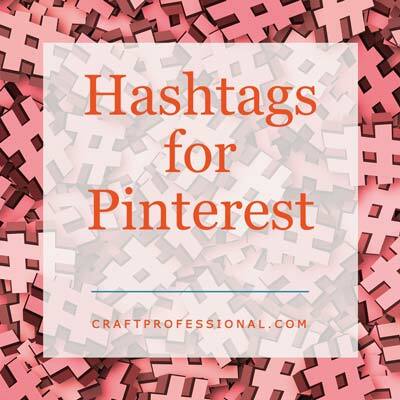 Your Pinterest business name and about section are also searchable, so be sure to include important keywords that a customer is likely to use to find a business like yours on Pinterest in both your business name and your about section. Avoid using spammy lists of keywords. Instead, take your time to write compelling text that makes sense, appeals to your target customer, and also includes important keywords. If you're not sure what keywords people might use to look for a business like yours on Pinterest, keep reading. We'll go over keywords in just a moment. People who are a little more savvy about using Pinterest often find posts with rich pins to be more trustworthy because they know they are coming from a verified site. Some people even specifically look for rich pins when repinning because they are generally seen to be more valid and not scammy. That means, adding rich pins to your site can make your pins more appealing for repinning, especially from in-the-know pinners who have large followings. 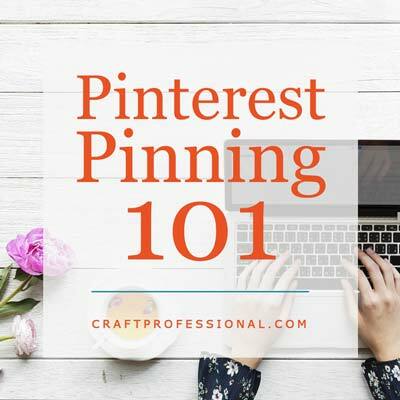 When you begin to set up boards and save pins, it's important to always keep in mind that your goal is to have them found on Pinterest's search and hopefully on Google searches as well. To help make that happen, you need to use good keywords. So, before you create a board, you'll need to do some keyword research. Now is not the time to get cutesy. Cute doesn't get you found in search results. You'll see all kinds of adorable board names on Pinterest. They may look clever and stylish, but they don't help your boards get found in search results. To grow your Pinterest account, use smart keywords in your board names and in your board descriptions. To look for keywords on Pinterest, go to Pinterest, and type a broad keyword related to your business into the search bar. Take a look at the suggestions Pinterest offers. You can use any of those suggestions in your board title or in your description. Try searching a few related words as well to see what comes up. The image below shows you what the search and additional suggestions looked like. The suggestions that came up when I searched "craft room" on Pinterest are in the line of rectangles just below the search bar. These additional words (as long as they are relevant to my board) are good to add to the board title or description. Notice the tiny arrow at the right end of the rectangles. Click on that arrow (on Pinterest, not here), and you'll get more suggestions. These suggestions are words people often add to the search "craft room" on Pinterest. You can do your own keyword research for any Pinterest board you want to create by typing a general keyword into the search bar and looking for other suggestions that match with the board you plan to create. Once you have a good list of keywords, it's time to write your board description. You might also decide to change your board name to include a good keyword or two. Check out the description I wrote for my board of craft room ideas. Notice I called it "Craft Room Ideas" to add the keyword "ideas" to the title. Craft Room Ideas board description: "Beautiful craft room ideas! All kinds of inspiration to help you dream and design your ideal creative work space. DIY storage and organization ideas, lovely small space craft rooms, and spectacular dream studios." When you add keywords to your board titles and descriptions, make sure it flows. Don't simply write a nonsensical keyword list. I'd rather leave a keyword out than try to fit it in unnaturally to the description. Be sure to fill out all board names and descriptions in full with careful research and thought given to ensure you use keywords people might use to find a board like yours. Choose an appropriate category for your boards. Once you have pinned a few things, choose a cover for the board that will draw people in. Pinterest allows you to make boards secret, invisible to everyone but you. I love the secret board feature because it allows me to use Pinterest for personal use without having to switch to a personal account separate from my business account. I just make secret any board that is useful to me, but would be of absolutely no interest to most craft professionals. I also keep secret boards that help me with research for future business plans and projects that I'm not ready to reveal at the moment. If you use Pinterest for business and for saving personal items, you might want to make some of your own boards secret. There's nothing wrong with keeping a few personal boards visible on your business account as long as they fit with the story you want to tell about your business and the interests of the customer you want to attract. Go to your existing Pinterest boards, and look at them from a customer's point of view. Ask yourself whether all of your boards make a great impression on a potential customer. If the boards are helpful to you personally, but don't help your business brand, make them secret. My images have evolved over time as my skills have grown. Some of my old images are still popular on Pinterest. They are a bit embarrassing, but they send loads of visitors to my site, so I can handle the embarrassment. From the start, I have always been aware of trying to create the types of images that encourage people to click through from Pinterest to my website. On the right, you'll see an example of an image I've pinned to my Craft Display Ideas board. The pin links to an article I've written with photos of 8 children's clothing booths. I don't want people staying on Pinterest, just checking out my booth photos there without ever clicking over to my site. So, I ensure my images make it clear that there's a lot more good, related information just a click away on my website. If you're including product shots, you won't want to partially cover up the image the way I have in this example. However, look for other ways to convince the reader that there are more interesting things to be seen on you site or your online shop. You can encourage people to click through to your own site in the comment you post with your image. I always include a link in the comment when I'm posting my own images. You can see the link in the example on the right. You can even include a clear call to action. A comment like, "Click through to my Etsy shop to see more of my handmade leather purses." plus a link to that item in your shop, can encourage people to get off Pinterest and onto your own site. I do my best to only pin items from the original source. If you've spent much time on Pinterest, you know that's not easy. It is absolutely frustrating to find a beautiful image on Pinterest and be completely unable to trace it back to its source. So often, people's beautiful work is posted around on Pinterest, and they don't get credit for it because they have not included their name anywhere on the image. Adding your business name on an image does not have to be intrusive. Don't plaster your company name right across your product shot. Create a stylish logo, or wordmark for your business, and find a convenient spot to add it to your image. I've listed several tools you can use to do that type of photo editing in the article Top Photo Editing Software Options. The website How Does She does a great job of wordmarking their images. Check out the pin, on the right, from How Does She that I've included on my Easy Craft Ideas board. There's a wordmark on the bottom left of the image. It's attractive but unobtrusive. If the image became separated from the link to the original article (as happens on Pinterest), it would still be clear who originally created the image. Once you have some boards set up and you know how to create your own images to pin, you need to start pinning your own images, and other people's images. This process can become extremely time consuming if you don't have a good process set up. Lucky for you, I've gone through some trial and error and finally found a Pinterest workflow that's efficient, but still allows me to post a good number of quality pins at strategically selected times. 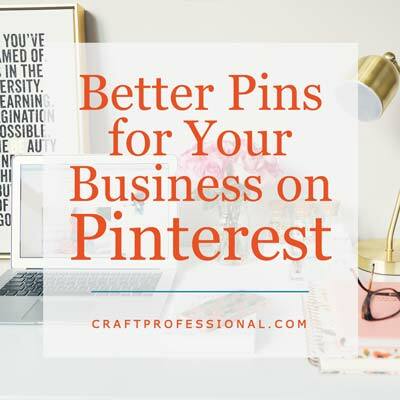 Read the next article in the Pinterest series, Pinterest Boards for Business, to find out how to choose the right kinds of boards to feature on your Pinterest account to attract your target audience and build your online business. The basics of Pinterest pins. If you're new to the platform, you need this article.